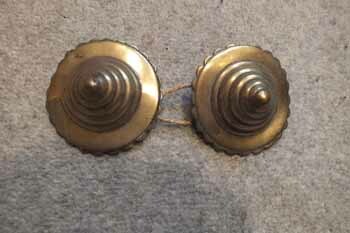 An attractive pair of 19th c. of Ribbon Rosettes. 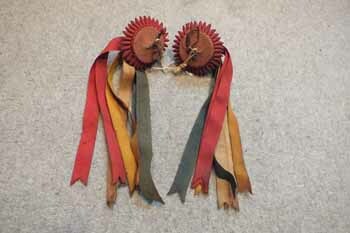 Still having good colour, some wear to the ribbons, but in keeping with age. 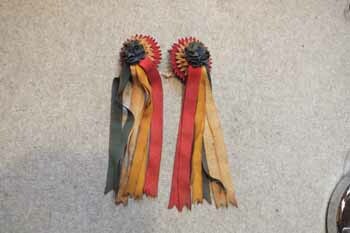 A beautiful Pair of 19th c. Ribbon Rosettes. 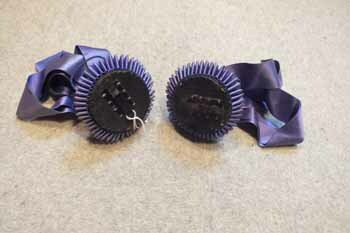 Good colour, some wear to the ribbons, but in keeping with age. 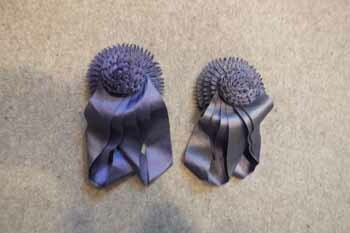 A Stunning Pair of 19th c. blue silk Rosettes. 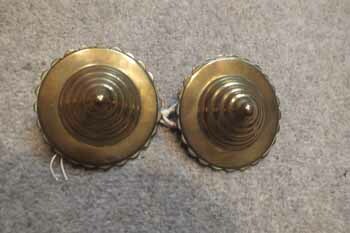 Pair of 19th c. brass Rosettes. 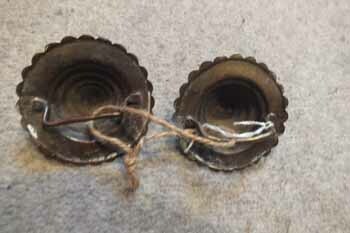 Good Patina to their reverse. 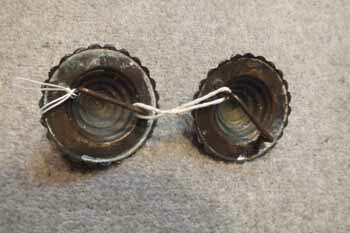 with good Patina to their reverse.